One of the most important names in watchmaking and one of the leading names in art auctions are working together to bring aid to Japan following the devastating Match 11th earthquake and subsequent tsunami which continues to present formidable problems for Japan. Christie’s and F.P. Journe have entered into an unprecedented collaboration to unveil the first of F.P. Journe’s new Centigraphe Sport wristwatches from its brand new “Sport Line” collection at Christie’s Hong Kong Watch Auction on May 30th. 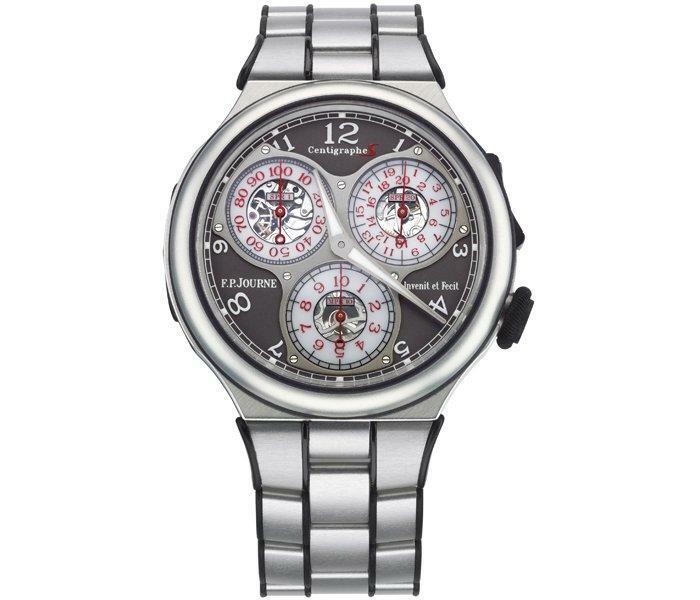 This all-aluminium mechanical chronograph watch (numbered 001) will be auctioned at Christie’s Hong Kong Watch Sale (Lot 2192A), with proceeds and buyers’ premium to be donated to the relief efforts. The watch case, bracelet and movement have a combined weight of only 55g. The crown, pushers and sides of the bracelet are coated in rubber to absorb shock. According to Journe, the aluminium alloy used is scratch resistant with anti-corrosive and anti-allergic properties. This is good news as past attempts to use aluminium for watch cases, by IWC and Bulgari for example, were not notably successful given the softness of aluminium. 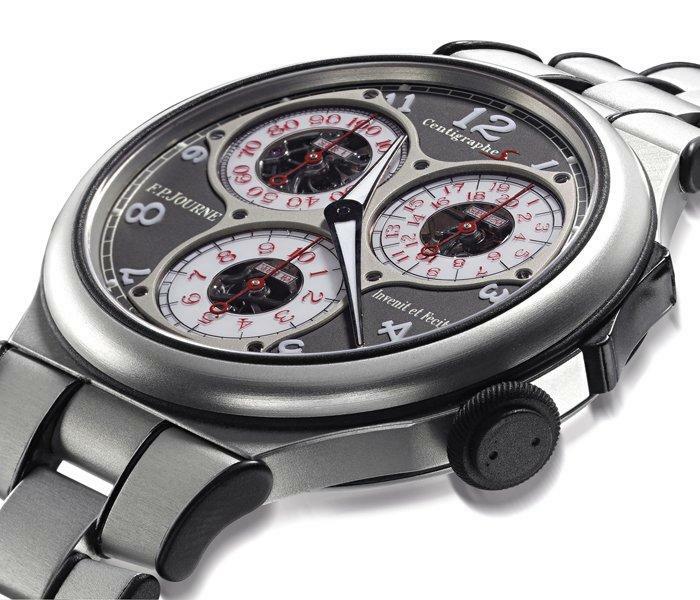 F.P.Journe has chosen the Centigraphe as its first timepiece to introduce its new collection, the Sport Line. The inspiration for the collection stems from a request from an important collector, an aficionado of F.P.Journe watches, who has competed in numerous marathon and triathlon competitions and wished to have an ultra light sports watch coupled with a movement of authentic high horology. With its ability to measure in 100ths of a second, the Centigraphe Sport is the perfect watch to help him excel in activities where every second counts. In advance of the May 30th sale in Hong Kong, the watch will be on view from May 28th till the morning of May 29th at the Convention Hall, Hong Kong Convention & Exhibition Centre, 1 Harbour Road, Wanchai, Hong Kong. 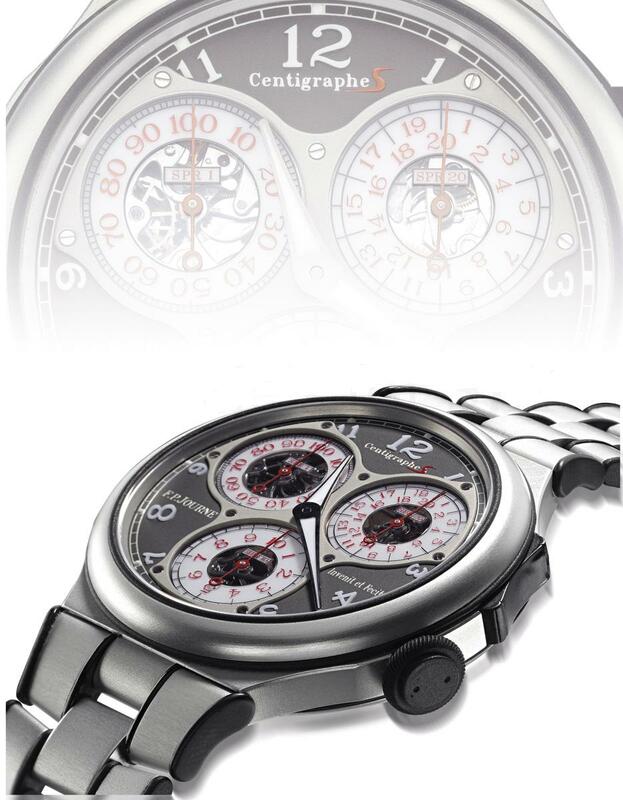 The official launch of the Centigraphe Sport and donation of the auction proceeds will take place at The Swiss Embassy in Tokyo on 3 June 2011, and will then become available exclusively in the F.P. Journe Boutiques in Hong Kong, Beijing, Paris, Geneva and New York.